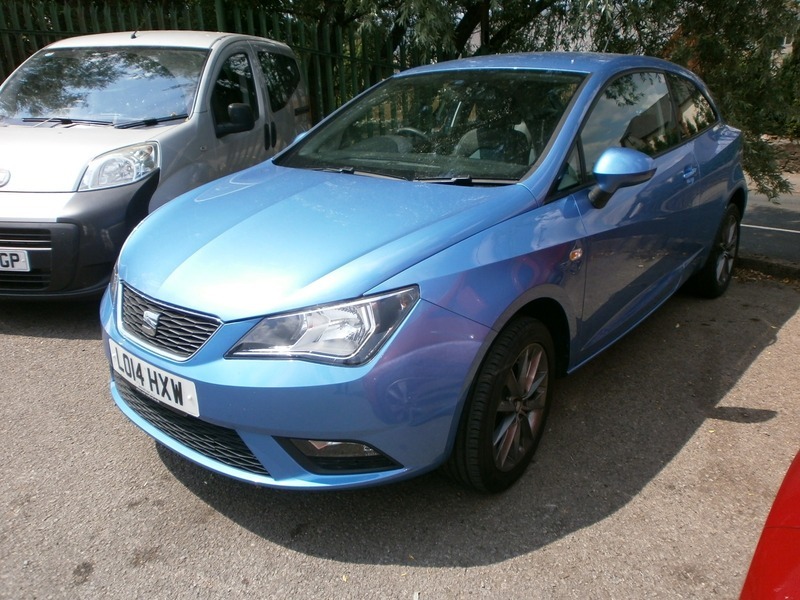 stunning looking Seat Ibiza in the most sought after colours. One of the most reliable cars on the road with great handling and looksFirst looker, First Buyer. Be quick not to miss out on this vehicle. Exterior Features, Metallic paint, Wheels, Tyre repair kit, Paint - Metallic, Metallic Blue, Trim - Part Leather, Cloth/leather - Blue/Simil, Exterior Features, One touch electric front windows, Rear wiper, Tinted glass, Body colour door handles, Body coloured bumpers, Roof antenna, Cornering front fog lights, Electric headlight adjustment, Safety, ABS, ESP+EBA, Hill hold control + Tyre Pressure monitor, Speed sensitive power steering, Body colour door mirrors, Electrically adjustable and heated door mirrors, 3 point seatbelts on all 3 rear seats, Child locks on rear doors, Driver and passenger airbags, Front passenger airbag deactivation, Front side airbags, Seatbelt warning, Interior Features, Front/rear floor mats, Air conditioning, Pollen filter, 12V accessory power point in centre console, 3 cupholders, Cloth/leather upholstery, Front door pockets, Grab handles, Height/reach adjust steering wheel, Illuminated glovebox, Leather steering wheel and gear knob, Underfloor storage compartments in luggage area, Illuminated boot, Interior centre roof light, Map reading lights, Driver/passenger sunvisors and vanity mirrors, Driver Convenience, SEAT logo boot release, Miscellaneous, 'Lights On' warning buzzer, Digital clock, Low fuel warning light, Outside temperature gauge, SEAT Portable Navigation system inc SD card slot, bluetooth connection with audio streaming, Service interval indicator, Trip computer, Audio / Communications, 4 speakers, Auxiliary.